Do you ever agonize over which papers to add to your card to go with an image you have colored up. Well today we are going to mix it up. I have used a stripe, Gingham, and dots for my Designer papers. 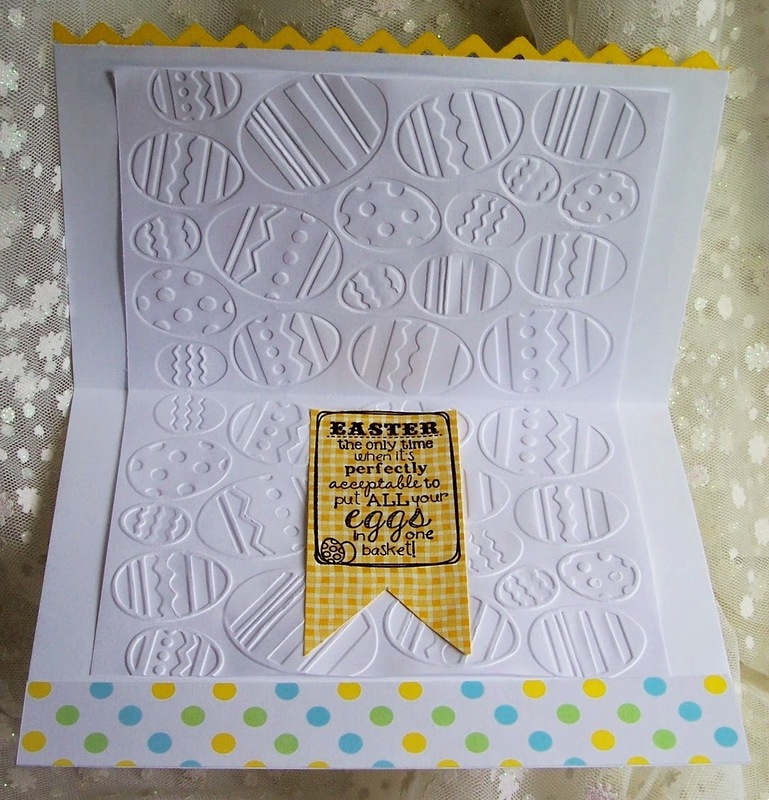 A simple card for Easter. Versafine clear ink, then embossed. Dotted border is adhered to inside bottom of card. Don't be afraid to use a mix of papers on your card for an interesting look. This is gorgeous Sue. I love the image and the mix of patterns and colours work so well together. 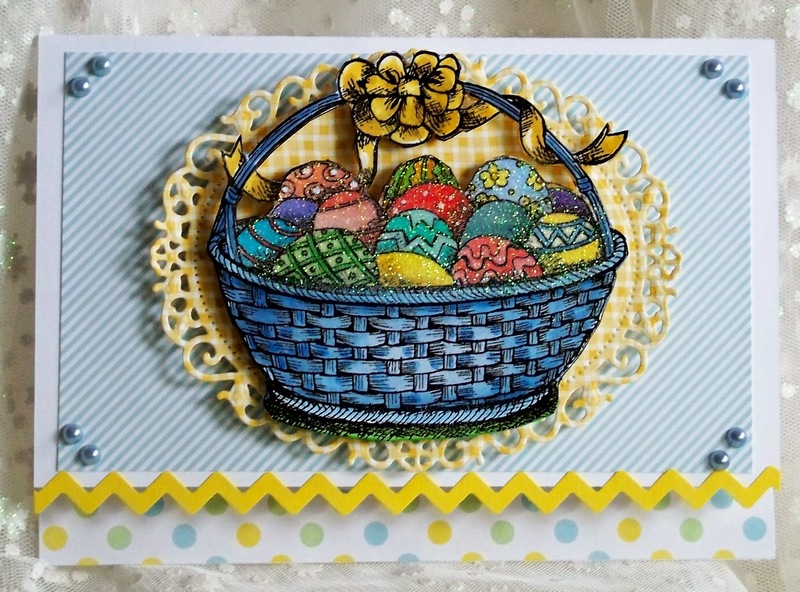 Wow lots of baskets being colored in your house this week. LOL I love this card, both inside and out. Great sentiment and all those embossed eggs. I really love those two papers you used on the card front. They are kind of behind the scenes and let that beautiful image take center stage. Enjoy your day. Oh Sue your card is just BEAUTIFUL!! I love the lacey edges and wonderful embellies...your sweet bunny is just perfect!! Gorgeous inside and out, fabulous way to finish off the card!